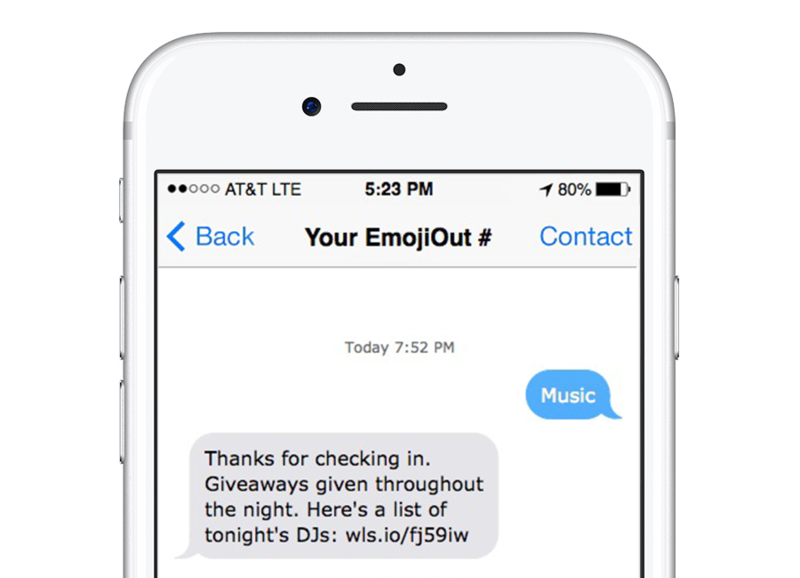 EmojiOut allows Event planners the opportunity to build a loyal following by keeping them in the loop when, where and what is happening and incentivizing them to check-in when they arrive. All data you collect with your virtual private number is owned by you to do as you see fit. Leverage our solution as a benefit you pass on to your sponsors and partners as part of your sponsorship package. 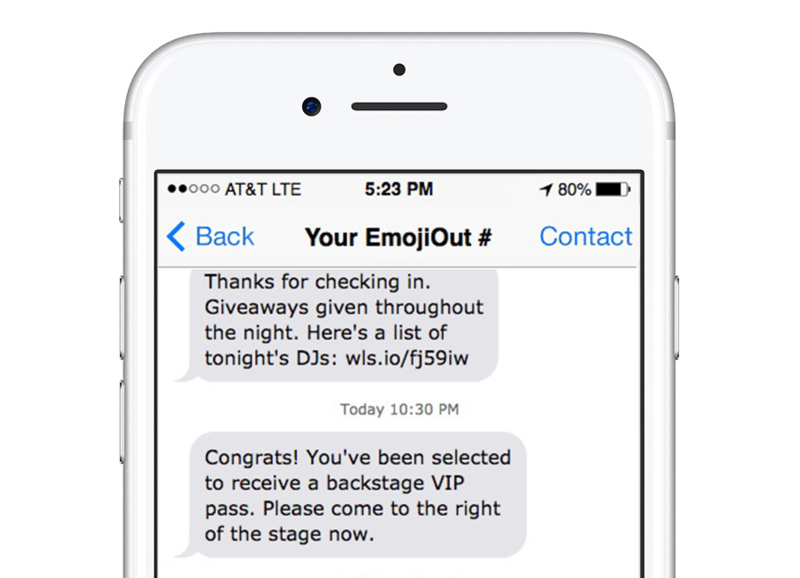 Create multiple touch points for your audience, keeping them engaged with you before, during, and after an event, gaining more data and determining future engagement. Allow attendees to pre-register to your event to share with friends and be entered to win exclusive prizes and experiences during the event. This is also a great way to build your list of potential attendees for future events. Have attendees check-in upon arrival at your event and at sponsor booths as a way receive exclusive content and offers. This is great for collecting and providing data to sponsors. 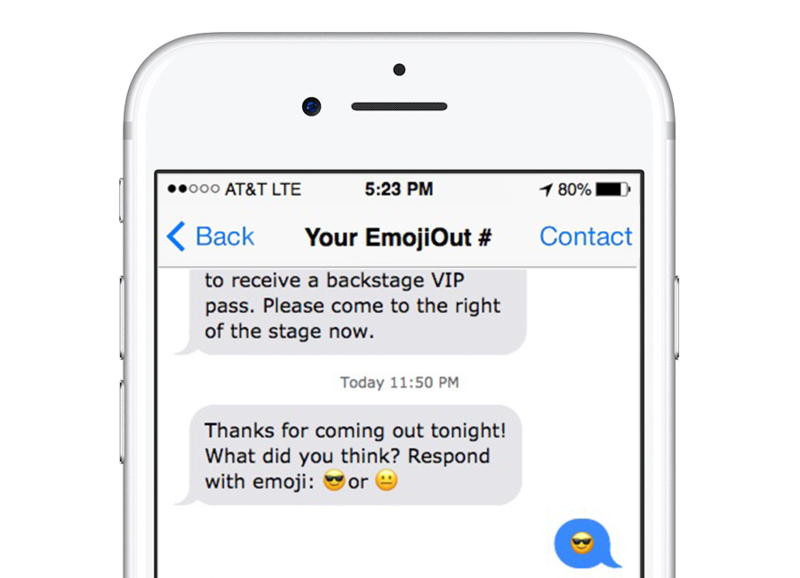 Ask attendees what they thought of the event with emoji feedback, send them a survey, event footage or simply just a thank you message. You can also use this opportunity to promote future events.